Welcome to Israel, your new home. Contrary to the current economic situation, the price of real estate in Israel is rising. While some new-immigrants have ready-cash to buy property, the majority will require a mortgage. 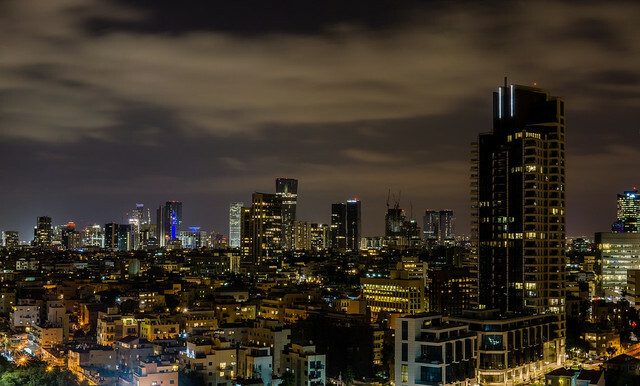 Real-estate in Israel is relatively expensive and consequently the demand for mortgages is relatively high - mortgages however, are not hard to obtain. There are various types of mortgages in Israel: linked, unlinked etc. Details of mortgages and loans can be obtained by commercial banks who offer mortgages and from specialized mortgage banks. Some years back housing prices were quoted in US dollars but now the law insists that they be quoted in shekels. You will be paying your mortgage in Shekels. Your mortgage bank will do all the necessary calculations and conversions to determine the final price. Nominal rental assistance for 4 years, starting from the second year from date of Aliyah. Mortgages at special terms (approximately $25,000 per family) for 10 years. Discount on purchase tax when buying an apartment, approximately $4,000, for up to 7 years from date of aliyah. The amount of assistance offered by the government to new immigrants varies according to the location and the socioeconomic grading of the applicants in accordance with the criteria of the Ministry of Construction and Housing. Exact details and a breakdown of your entitlement are available from The Ministry of Immigrant Absorption or your Aliyah office. Always verify with them for any changes and updates. When taking out your mortgage in Israel, it is recommended not to exceed a monthly repayment of more than 25 percent of your total monthly income. A typical Israeli family apartment (3 to 4 bedrooms) generally measures between 90 to 120 sq. meters. To help you plan your housing requirements and aliyah shipment, we have included a typical floor plan of a 3 bedroom apartment in an Israeli hi-rise apartment block. Many English speaking immigrants prefer to locate to the more central regions of the country; Jerusalem, Tel Aviv and its satellite communities like the always popular, Raanana. Recently Haifa has become a popular destination for English speakers. There are many incentives to relocate to some of the development towns. Options for the religious communities exist as well. Your realtor will give you details on the current rates per square meter in the various cities and communities. Remember the golden rule when purchasing: location, location, location…. The more affluent neighborhoods in Jerusalem are Talbieh, Baka, the German Colony and Rehavia. In Tel Aviv; the Northern Suburbs, Ramat Aviv and the beachfront are popular, luxurious neighborhoods. Tel Aviv’s satellite cities; Rehovot, Givatayim and Ramat Gan are growing in popularity. Towns like Raanana, Kfar Saba, Netanya, Herzliya have always been popular amongst English speakers. In Haifa the suburbs of Denya, Ahuzza, Carmeliya and Ramat Almogi are also some of the favorites. Of course beautiful, comfortable and affordable homes are available in all the suburbs, all over the country. Seniors who have the available funds can join one of the many luxurious retirement villages around the country. These residences offer communal services, security and specialized medical assistance. There are various options and resources for the elderly in Israel. Counseling services on pensions, rights, home assistance, shopping etc., are available at some of these retirement villages. There are varying types of accommodation available from shared rooms to private dwellings in cluster units. When purchasing an apartment or house, everyone is liable to pay Land Acquisition Tax (mas rechisha). This tax is based on the cost of the apartment, as well as the personal status of the person buying it. Citizens, immigrants and tourists are entitled to different benefits and are liable for different amounts of tax. Consult with a real-estate lawyer who will explain the details and will help you work out the most advantageous package and details of Capital Gains Tax if necessary. Arnona is a municipal or regional council property tax. The homeowner is responsible for paying arnona except in the case of a rented dwelling where the tenant must pay these municipal rates and taxes. Arnona discounts are available for new immigrants and other sectors of the population. When signing a purchase agreement the real-estate lawyer will help you to understand the agreement and its implications. The real-estate lawyer will probably charge you a percentage of the value of the property rather than an hourly fee. Verify this accordingly. When purchasing an apartment from a developer it is also recommended to take legal advice from a real estate lawyer who will take all measures to ensure and protect your rights as purchaser. Your lawyer will also check ownership rights on the land and verify whether this is land that appears on the Land Registry (known as “Tabu”), at the Israel Lands Authority or with a housing company. In 1997 the government passed a law which oversees and regulates the work of Real Estate Agents. Presently, the agent must pass a licensing exam in order to work in the field. It is recommended to sign an agreement between the client and the agent detailing properties that were shown and the final fee and terms of payment on the purchase. The law also specifies that the agent is entitled to a fee only if they were instrumental in finalizing the deal. The customary commission in Israel is 2% + VAT of the purchase price from both the seller and the buyer. You may be able to negotiate a different fee or arrangement with the agent. I you are not in a position to buy, renting is the alternative. You can arrange a rental through a realtor or relocation agent, which may be the best way if you are still finalizing your Aliyah. New immigrants may not yet know the suburbs in the city and the types of accommodation available in each one. Having a real estate agent accompanying you on this journey is useful. You will be required to pay the realtor or relocation agent a fee - usually the equivalent of one month's rent. Here are some websites where you can start your rental search. Other ways to find a rental are through the local newspapers, public noticeboards in the area of your choice, notices posted on trees and lampposts, via friends, forums and Facebook or similar pages. Check our the results of our January 2015 survey, of English speaking olim - who had recently entered or were about to enter, the property market. Does rent control exist in Israel? What can you do with a 1,000,000 shekel housing budget? Hebrew to English housing terminology. Free word sheets with transliterations.